Al Tawakal Motors & Auto Workshop deals in sales and purchase of all kind of vehicles. It also provides auto repairs service. 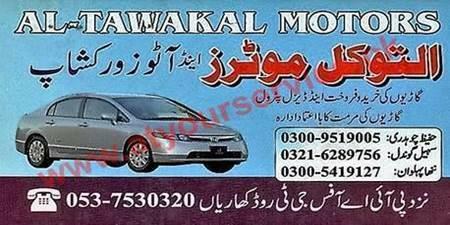 Al Tawakal Motors & Auto Workshop is located on GT Road, Kharian. It deals in sales and purchase of all kind of vehicles. It also provides auto repairs service.